The ancient world was rife with mythic twins: Apollo and Artemis, Romulus and Remus, Castor and Pollux. But there is another pair of twins that, while eluding the ancients, once seemed almost as mythic as these legendary pairs—twins that engendered centuries of argosies and adventures. The fragrant, flowering evergreen tree known as Myristica fragrans is the mother of these twins. When the fleshy, peach-like fruit of this tree is mature, it splits open, revealing a brown nut surrounded by a bright red web. The web, or aril, is separated from the seed, and both are dried. The aril, which turns somewhat brownish as it dries, is the spice known as mace, while the dark, hard nut is nutmeg. 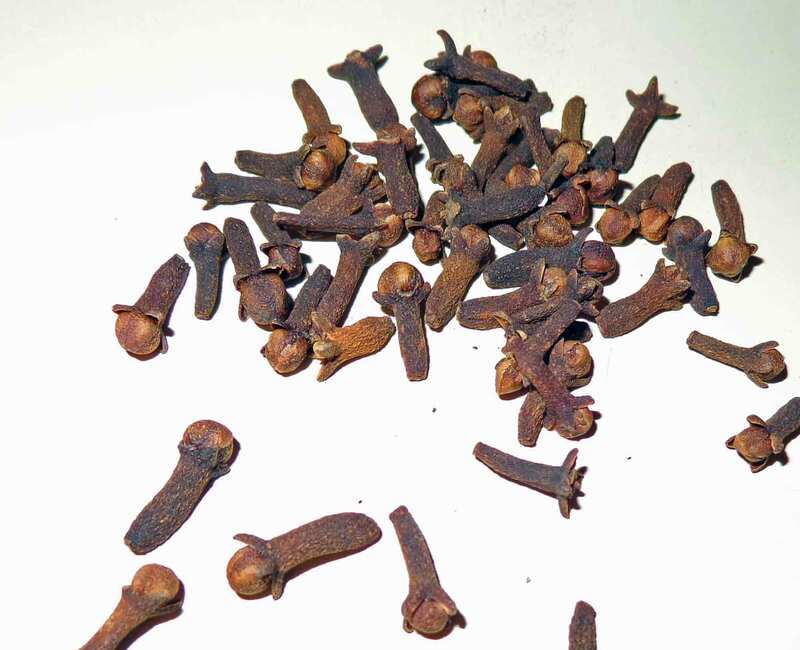 Nutmeg and mace were being traded in Asia long before Europeans knew these spices existed. A few scholars maintain that the ancient world did know of nutmeg, but there is little evidence— and the strongest evidence against knowledge of the spice is that the major recorders of life in the ancient world did not mention it, and they mentioned everything about food and spice. It might have been given as a gift to some ruler or other, probably in North Africa, given the fact that most trade with Asia was handled by Arab spice merchants who traded all across North Africa, but it didn’t get to Greece or Rome. However, it had reached Constantinople by the 9th century, as it was recorded that St. Theodore the Studite allowed monks to use nutmeg on their pease porridge on meat-free days. Nutmeg probably didn’t reach Europe until the Middle Ages, making it the last of what were then known as the “noble spices” to be introduced. The first reliable report of nutmeg being used in Europe is from 1190, when the streets of Rome were scented (or, more accurately, fumigated) with spices, including “India nuts,” as nutmeg is sometimes called. It seems likely that, as with other spices, it was Arab traders who carried nutmegs to the Middle East and Italians who carried them throughout Europe.